How do I know if my retaining wall is being built correctly? Top tips on a retaining wall! There is more than one way to build a retaining wall! By sheer nature, people are and should be concerned if the money they are investing in a retaining wall is well spent or how do they know if it is being built properly? Building codes vary by state but in the Carolina’s, once a retaining wall is constructed 4′ or taller, it requires an engineering letter/ design to ensure proper structural integrity is designed into the construction. Do not have it done without it. There is more than one material that can be used as a retaining wall finish. One of the less expensive ways to construct a retaining wall is with landscape timbers that look like railroad ties. You will need “tie – backs” when you design this so that the wall holds properly. 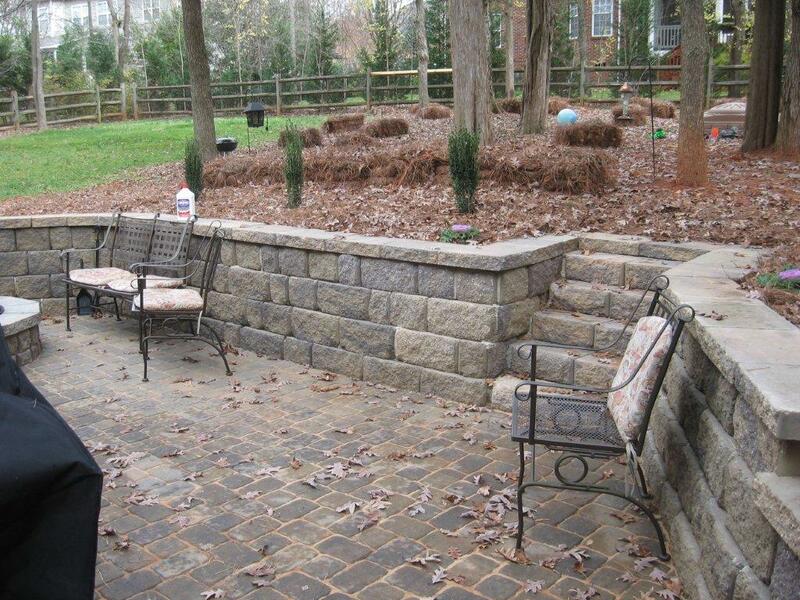 Retaining wall block is commonly used as a masonry product. 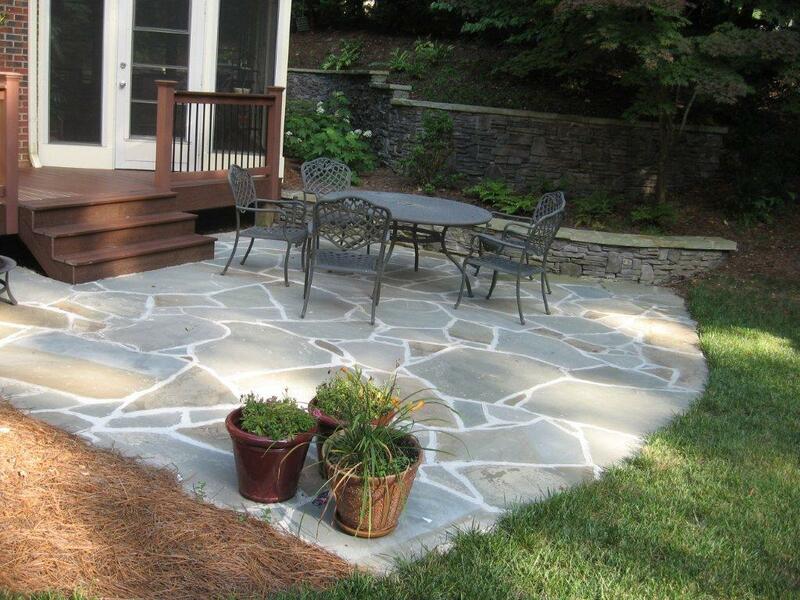 In addition, you can get the retaining wall block with a decorative stone finish on one side like the photo above. A more expensive but beautiful retaining wall can be block with actual stone applied to it, also a featured photo in this blog. There are also drainage issues that need to be considered. A professional mason should be consulted with where they are going to put the “weep holes” so that the water pressure does not build against the wall or you don’t create a water fall unless you want one! 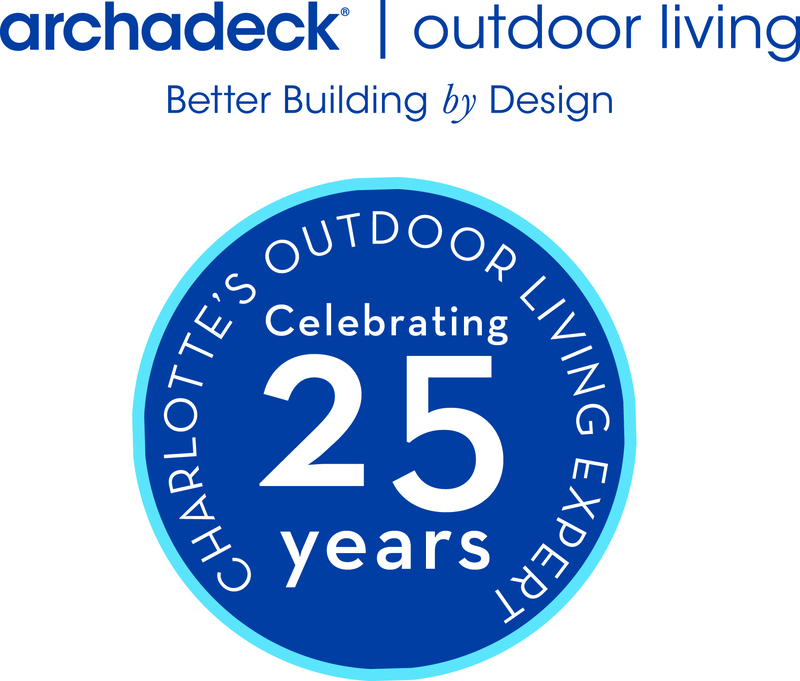 To see great design ideas, go to https://www.charlotte.archadeck.com and go to our photo gallery!